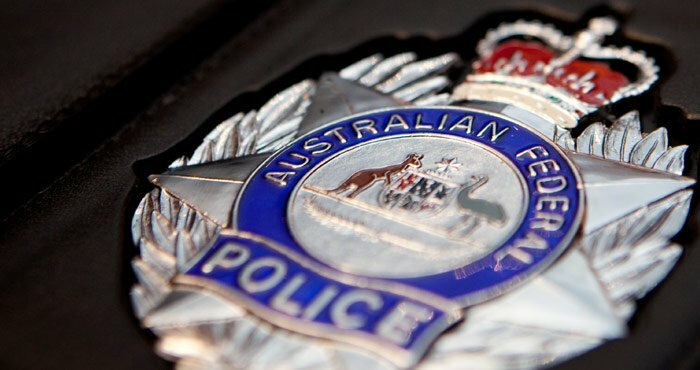 This is a joint media release between the Australian Federal Police, Victoria Police, the Australian Border Force, the Australian Criminal Intelligence Commission, the Department of Defence, Tasmania Police and Queensland Police Service. In December 2016, a 50-metre commercial vessel was intercepted and boarded by Australian Defence Force personnel from HMAS Adelaide, under the direction of the Australian Border Force’s (ABF) Maritime Border Command, after its suspicious movements were spotted during a routine aerial patrol. Maritime Border Command, a multi-agency Taskforce within the ABF, began monitoring the vessel in mid-November 2016 and tracked it moving south down the west coast of Australia, across the Great Australian Bight and towards the Tasmanian coastline. This covert surveillance culminated in the successful interception and boarding of the vessel on 12 December 2016. The vessel was escorted into the Port of Hobart, where the Australian Federal Police (AFP), ABF and Tasmania Police conducted a thorough examination of the vessel and seized approximately 186 kilograms of cocaine. Today (Wednesday 18 January), the Victorian Joint Organised Crime Taskforce (JOCTF), comprised of the AFP, Victoria Police, ABF and the Australian Criminal Intelligence Commission (ACIC), with the assistance of the Queensland JOCTF, comprised of the AFP, the Queensland Police Service, ABF and ACIC, executed 15 search warrants across Melbourne and Queensland. This has resulted in the charging of a further six men – all Australian nationals – for their role in this attempted importation. Police also seized approximately $93,000 in cash and alleged drug manufacturing equipment at the warrants. Operation Barada began last October, when the Victorian JOCTF began investigating this Melbourne-based syndicate suspected of attempting to import narcotics into Australia. Separately, in December 2016, the Maritime Border Command advised the Victorian JOCTF of the now seized vessel’s suspicious movements travelling towards Australia. After further investigation and intelligence assessments, police determined that these syndicates were connected, launching a major multi-agency operation drawing on hundreds of Commonwealth and state law enforcement officers and Defence personnel. Police will allege the men arrested today made several attempts to launch a vessel from Australia to meet the commercial vessel seized in December, with the intent of transporting the cocaine back to Australia for distribution to multiple drug trafficking syndicates across Australia. These men have all been charged with attempting to import a border controlled drug, namely cocaine, contrary to section 307.1 of the Criminal Code Act 1995 (Cth). They will face the Southport Magistrates Court, the Brisbane Magistrates Court and the Melbourne Magistrates Court today. Investigations into the actions of these syndicates remain ongoing, including liaison with international law enforcement partners, and further arrests have not been ruled out. The successful resolution of these operations is testament to the dedication of the officers involved, and the high level of cooperation between Australia’s law enforcement and government agencies at both a state and Commonwealth level. All agencies involved remain committed to continuing this strong cooperation and will continue to target and combat the work of criminal syndicates who look to exploit the Australian community for their own personal gain.